The Nokia Device Hub has been in Nokia Beta Labs. Now, the feature has been released and can be found under the Settings menu for the Nokia Lumia 630. The app is expected to be part of the Cyan package that will accompany the Windows Phone 8.1 update for Lumia phones. The Device Hub finds apps that can be used with nearby devices that feature Bluetooth or Wi-Fi connectivity. 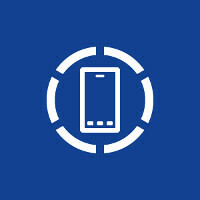 There are two sections to the Nokia Device Hub. One shows a list of every device that you have connected to. The other shows a list of nearby devices that are using Wi-Fi or Bluetooth. It is those nearby devices that you are managing with this app. For example, if your computer is using a Wi-Fi connection, it will show up on the Device Hub under the "Nearby" setting. In "Overview," you can see a list of apps that will allow you to connect your phone with your computer. Under "Apps" you will find a list of app that are available to be downloaded on your PC from the Windows Phone Store. Any device that supports Bluetooth or Wi-Fi can be picked up on by the Nokia Device Hub. You can pin a device to your home screen to quickly see which apps will work with it. Check out the video below to see the Nokia Device Hub in action.